Preheat the oven to 425 degrees. Roll the pastry shells into 7-inch circles on a lightly floured surface. Place the pastries onto 2 large non-stick baking sheets and fold up the edges to form a crust. Prick the pastries thoroughly with a fork. Bake for 7-8 minutes. Sprinkle the mushrooms and sausage or bacon evenly between the six pastries. 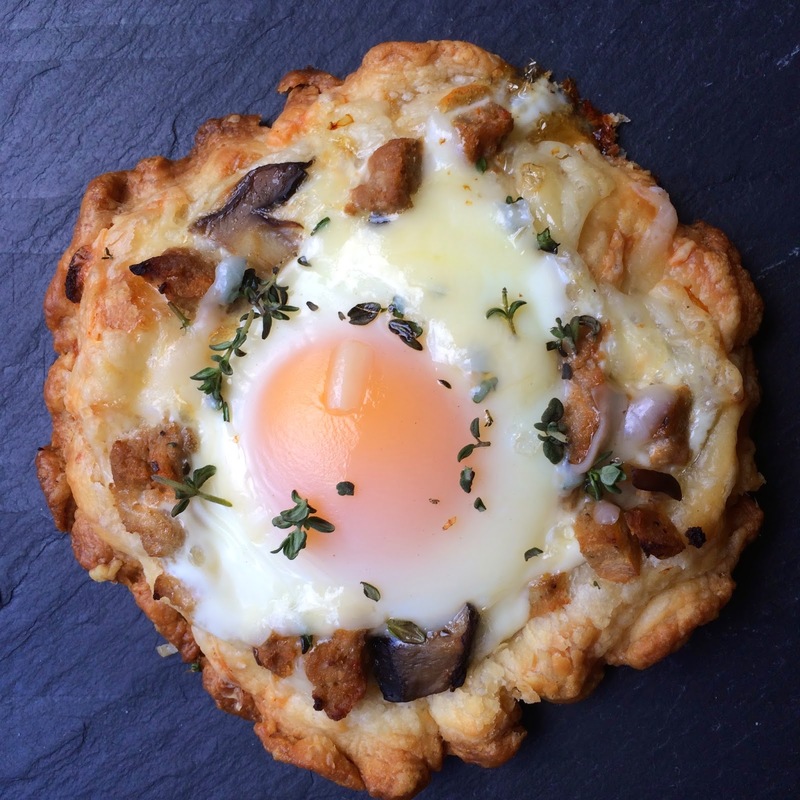 Crack one egg on each pastry. Sprinkle the cheese evenly between the 6 pastries. Bake for an additional 12-15 minutes or until the egg whites set. Distribute the herbs evenly over the six pizzas. Drizzle with truffle oil as desired. Click for more Top Ate Pizza Recipes.